So you are looking for best UHS-3 microSD Card readers with USB 3.0 that can even read the U3 (and beyond) SD cards. You have landed at the right place. 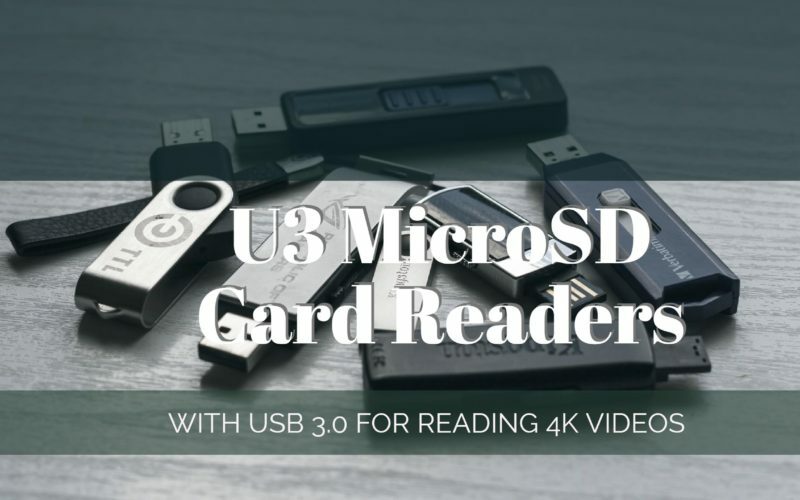 In this post, we have picked some best micro SD card readers that will help you to read 4K videos at blazing fast speed. There are hundreds of card readers available in the market with different specs, sizes, and functionalities. So choosing the right in one becomes difficult. It will not only waste your time but also the energy that you could have used somewhere else to do something productive. So let us help you out in choosing the best U3 MicroSD Card Readers with USB 3.0 for you. Let’s start the list with the most affordable ones and then goes to excellent ones. Even the excellent ones won’t cost you much so don’t worry. 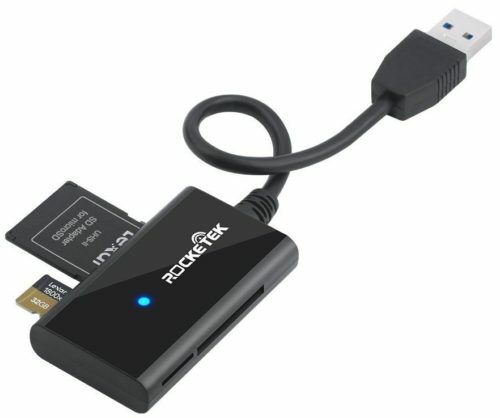 The first and the cheapest card reader with USB 3.0 support and multi-connectivity options is Rocketek 4 slots memory card reader. It comes with a 13 cm flexible USB cord for SDXC/SDHC/UHS-I SD Cards, Micro SD Cards, MMC memory cards. It allows reading two micro SD cards simultaneously. Thus it becomes convenient to transfer data between SD cards or Micro SD(T-flash) cards directly. It is a plug and play device no setup is required. 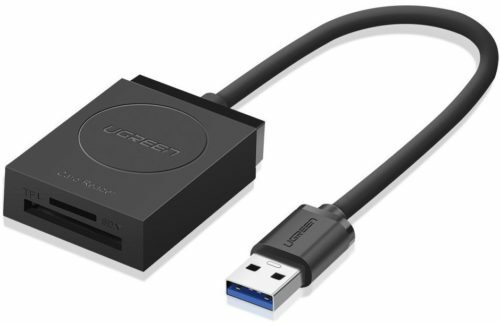 It supports USB 3.0 and backward compatible too with USB 2.0 and USB 1.1 that has become obsolete now. It auto-detects memory card and supports up to 2 TB SDXC card, SD V3.0, UHS-I standard, latest Micro SDXC and MMC 4.4. There is an LED indicator for working status. Plus, it comes with 18 months manufacturer warranty. 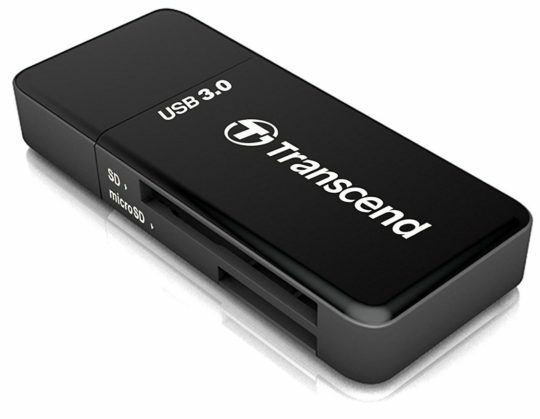 Transcend USB 3.0 card reader provides fast USB 3.0 interface and backward compatible too with USB 2.0. It supports Supports SDHC (UHS-I), SDXC (UHS-I), microSD, microSDHC (UHS-I), and microSDXC (UHS-I). Moreover, there is LED card insertion and data transfer activity indicator. 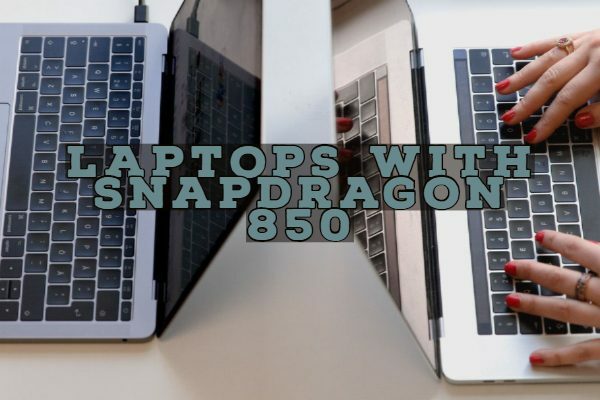 It is ideal for transferring high-resolution images and 4K video recordings. 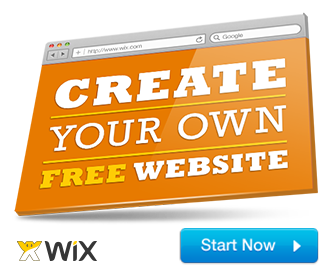 Plus, you will get a free download of RecoveRx data recovery software. No external power source is required as it is USB powered. It is compact and lighter than other SD card readers and comes with two years limited warranty. 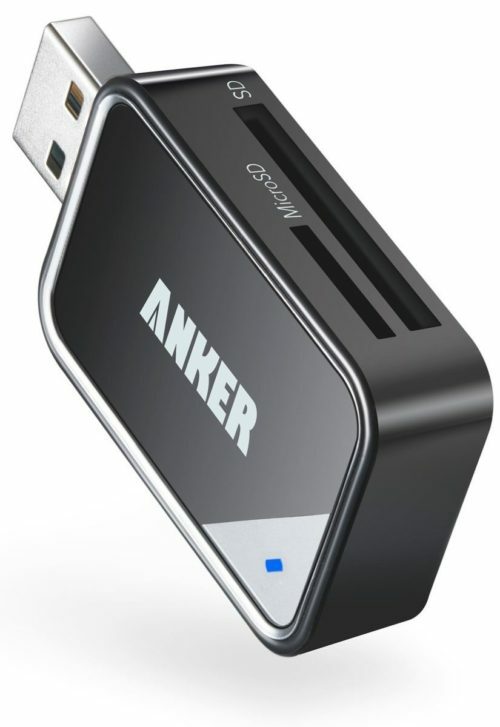 Anker 8-in-1 USB 3.0 card reader is best for those who need to transfer data to different types of SD cards. It can simultaneously read and write on two cards to save the effort of constant unplugging and re-plugging. Plus with USB 3.0 it enables data transfer rates of up to 5 Gbps. No drivers are required, just plug the device and transfer data. Moreover, it is cross-platform compatible. The inner chip is made of durable, high-grade plastics and premium chips. With LED indicator you will get an idea whether the card reader is working or not. It is compatible with SD-XC, SD, MMC, RS-MMC, SD-HC, Micro SD and Mini SD. It reads almost all memory cards with speed and convenience. In the sales package, you will get Anker SD/TF Card Reader, welcome guide and hassle-free 18-month warranty. 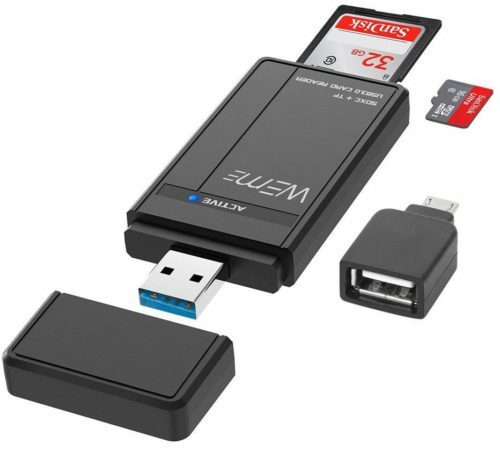 WEme 2-in-1 will connect to your mobile/tablet devices that support USB on the go. With USB 3.0 it supports up to 50 Gbps data transfer speed and supports a max of 64 GB. It features two media slots SD/MMC + Micro SD. It supports the memory card as SDXC up to 2TB, SDHC, SD, MMC, RS-MMC, Micro SDXC, Micro SD, Micro SDHC Card, and UHS-I Cards. It also works as dual slot reader that gives you the ability to read simultaneous both SD and Micro SD card. An LED indicator blinks when the card is inserted, or data is being transferred. It is supported on Windows XP, Vista, 7, 8 and 10, Apple OS 10.x or higher. The sales package includes a USB 3.0 card reader; one Micro SD Trans flash to SD adapter and one OTG converter. Urgent SD card reader acts as a good companion for your PC. It supports SDXC/SDHC/SD/MMC/RS-MMC/Micro SD/TF /Micro SDXC/Micro SDHC/UHS-I memory cards. 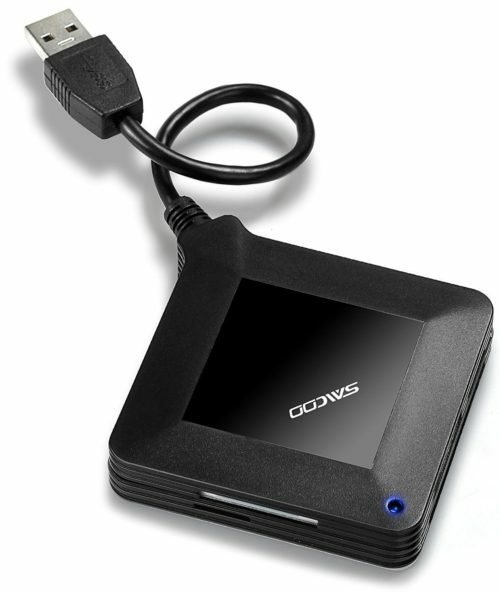 The USB 3.0 allows faster data transfer speeds than conventional card readers. It can read and write on two cards simultaneously. There are two ports and supports up to 256 GB SD/Micro SD card reader. It is also a plug and plays device; no drivers needed and compatible with all Major OS. 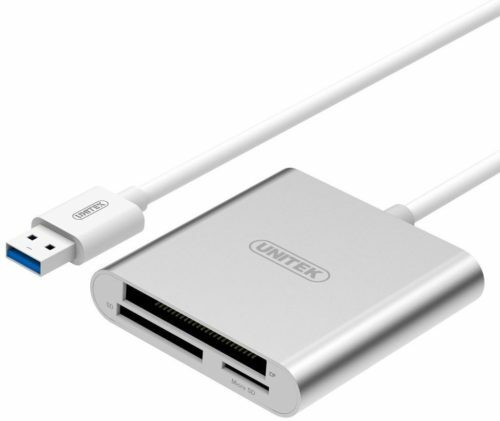 Saicoo features a unique square-form design integrated with 13 cm USB 3.0 cable. Also, a LED indicator with blue and red light to indicate the USB 3.0 and USB 2.0 transfer modes respectively. It supports up to Supports SDXC (up to 2TB), SDHC, SD, CF, High-Speed CF(UDMA), MS, M2, Xd, Micro SDXC, Micro SDHC, Micro SD cards. It auto-detects the card memory; no driver is needed. Plus, it comes with 18 months manufacturer warranty and lifetime technical support. Moving on the premium and sturdy USB 3.0 card readers, we have Unitek Multi-in-1 Card Reader with the aluminum body. Unitek SD card reader Support SDHC, SDXC, Micro SD, Micro SDHC (UHS-I), Micro SDXC (UHS-I) and CF/MD/MMC; Ideal for transferring high-resolution images and 4K video recordings. It is indeed a plug and play device with hot swapping capability. SD card and TF card sharing one channel cannot be read simultaneously on this card reader. Remember, this card reader does NOT support iPad Air, mini, iPad, iPhone. It comes with two years warranty. 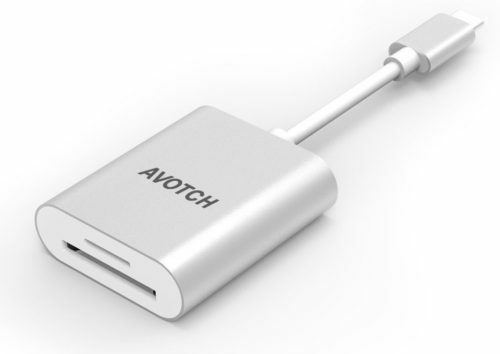 The last and best-looking card reader is from Avotch. It features an aluminum body giving it sturdiness and premium look. It allows fast speed data transmission with Type-C port and USB 3.0. It is backward compatible too with USB 2.0. 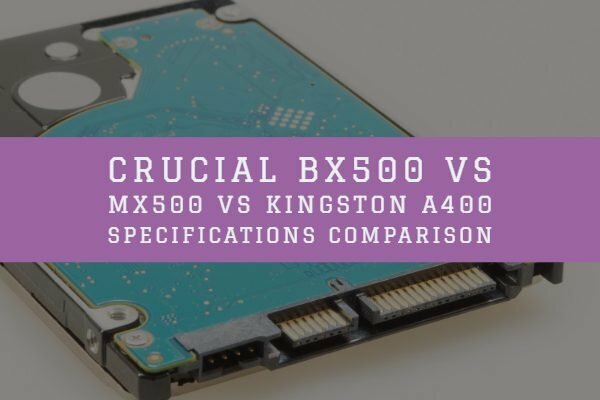 Coming to the card compatibility, it supports DHC, SDXC, Micro SD, Micro SDHC (UHS-I), Micro SDXC (UHS-I) and Easy to work other devices with a type C port. The card reader with new and compact design makes it ultra-portable and takes advantage of two-sided concave grooves for easy carrying in and taking out your memory card. It comes with 1-year warranty. Since USB 3.0 supports a theoretical peak throughput of up to 5 Gbps, all of these card readers listed above should meet the demands of most users. 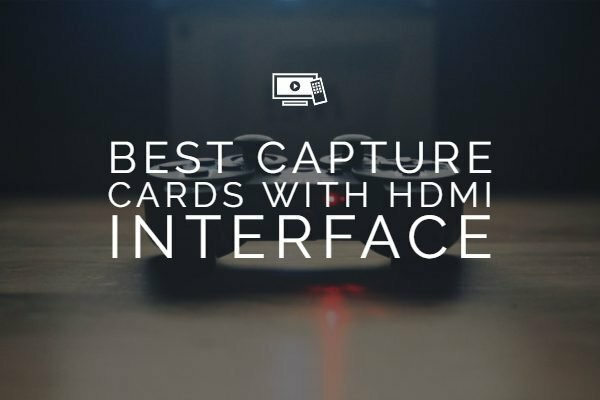 We hope you like our list of the Best UHS-3 MicroSD Card Readers available on the market. For any questions or suggestions, do use the comment section down below.